Four students from the University of Bath are pitching business ideas to some of the key players in Silicon Valley and New York’s tech sector, in a prize trip for student entrepreneurs. They have an impressive week long schedule (Monday 11 July to Friday 15 July) gleaning start-up advice from University alumni working for Facebook, Google, JP Morgan and a host of world-leading companies. 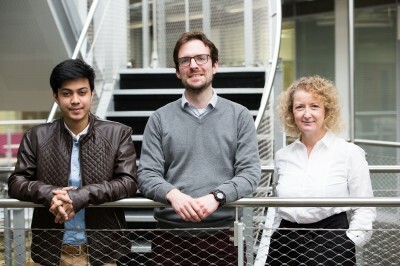 Two of the students are winners of the University’s Apps Crunch competition to design and present an original app; joined by the winner and runner-up in the student Business Plan competition to devise a startup strategy for an innovative business idea. Hospital doctor Phil Hamann, who is a Rheumatology Registrar at Bath’s Royal National Hospital for Rheumatic Diseases, is studying for a PhD in our Department of Pharmacy and Pharmacology and designed the winning app with his team mate undergraduate Bhavuk Gupta from the Department of Mechanical Engineering. Phil’s work at the hospital inspired him and Bhavuk to create an app which enables patients with long term chronic diseases to track their health. The app, called Cora, monitors their results and optimises the allocation of hospital appointments according to need, removing the reliance on regularly scheduled appointments. Phil has worked with the University’s Innovation Centre to begin developing the app with Propagator, digital product specialists based in Bath and London, and Cora will be piloted by the Royal United Hospitals Bath NHS Foundation Trust. 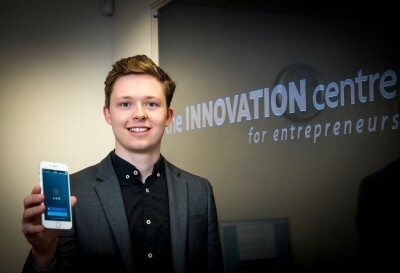 James Courtney won the University’s Business Plan competition with his premium dining rewards app, and is now running LUX from the University’s Innovation Centre during the placement year of his Business Administration course in the School of Management. He has secured over £80,000 of crowdfunding for his business. Harry Cobbold, a first year Business Administration student, was runner-up in the Business plan competition. His business idea for an online service for temporary staffing, called Shift, impressed the judges enough for them to fund his trip to the States too. Siobain Hone, Enterprise Education Manager in the University’s Research & Innovation Services, said: “Our students have an amazing opportunity to take advice from highly successful entrepreneurs and business people on all aspects of building a startup, from technical development to investment and recruitment. James Courtney added: “Experiencing the start-up scene in San Francisco has been a dream for me in the last couple of years and I’m very much looking forward to meeting some inspirational alumni out there. The Enterprise team at the University, based in the University’s Innovation Centre, run business competitions and activities which give students the opportunity to experience entrepreneurship and build the skills needed for business. It has a successful track record for nurturing entrepreneurs, social entrepreneurship and start-up ideas. The prize trip is funded and supported by University alumni based in the United States. They belong to a 100,000-strong community living in 150 countries worldwide. Bath alumni and friends support the University in many ways, from generously donating their time and expertise to help current students and fellow graduates, to making gifts which change lives.